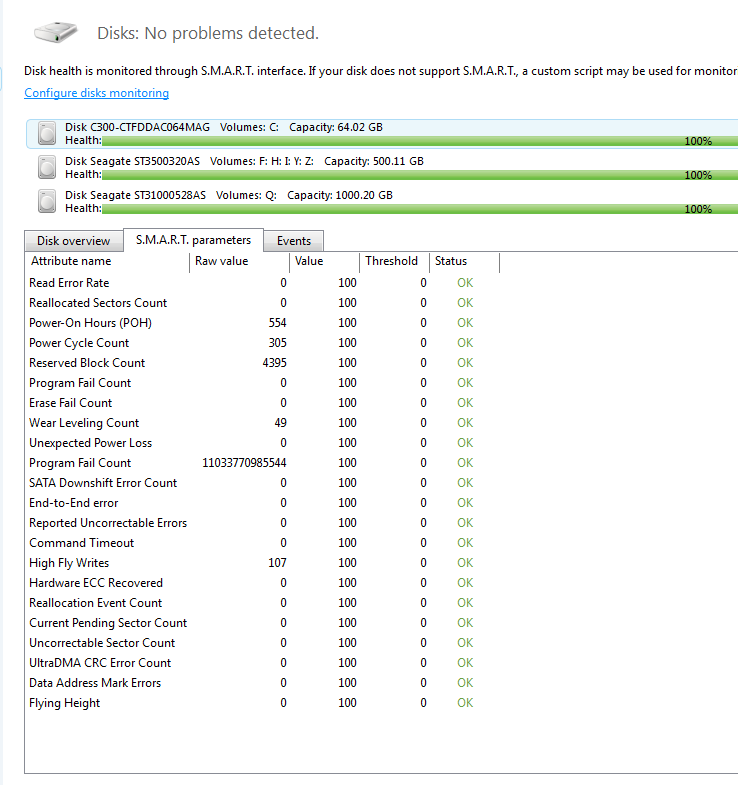 Hoping to switch to this as my primary Hdd monitor (long time acronis fan) but have a couple of questions. 1. Any plans to get the option to switch to Celsius within the program? Doesn't really make sense to have to change my system settings. 2. Any plans to get an update check implemented like in tih2011? 3. Got an ssd ordered, does this work with ssd's the same as it works with spinning hdds? I think Acronis are aware of #1 for future builds as it's been mentioned a number of times. I don't think anyone has ever mentioned #2 before as a 'would like'. #3, I have a C300 SSD, ADM works OK with it. Obviously there are a number of parameters that are different between an SSD and a magnetic drive. Thanks for the fast response. Yeah, 1 isn't critical but it's good that it's being worked on. 2 would be nice to have but also not critical. Now to 3. I installed the os on my ssd (ocz vertex 2) and went ahead and installed adm. Looks like most of it works and I do understand that the same smart rules don't all apply between spinners and ssd's, but it looks like the temp is out of whack. It's showing 217 which naturally causes an adm warning meaning that I have to disable it entirely. Does the temp for your c300 show up fine? I have seen similar ssd issues online so I am just curious if the devs are aware of this or if there is anyway to keep the majority of the smart check on for the ssd but just disable the temp part since it's not a concern with them anyways. Edit: I should have looked at your screenshot closer - your c300 smart attributes are different than mine iirc (just shut it down). Are you using a custom script? No I'm not using a custom script. I think each drive manufacturer enables different parts of the SMART format, as far as temperature is concerned, in general terms it isn't as crucial a parameter as a spinning drive system, although of course there is a die temperature when the silicon gates refuse to do as they are told, but this would be at around the 125 deg C mark - say 75 deg with a safety margin.